Do you and your partner like to experience romance and connection in new ways? Do you and your partner enjoy unique unforgettable experiences? Are you delighted by beautiful piano music? 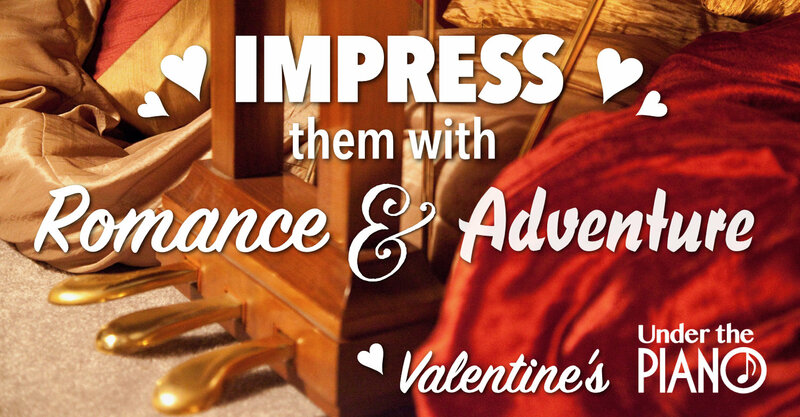 An Under the Piano session on Valentine’s Day fulfills these desires magically. Seriously, if you think this is a match for your partner, you will make a big impression. The Couple’s Package is a great option for this special occasion. a downloadable MP3 recording of your custom one-of-a-kind musical composition created just for you during the session. Available sessions on Valentine’s Day, February 14, 2019 – 4pm. Also Saturday, February 17 at 8pm.